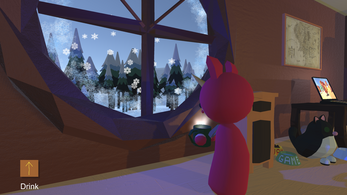 This is a game about being nice and cosy at home. 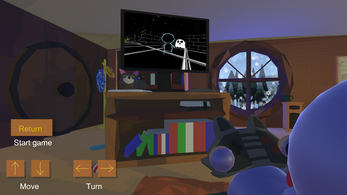 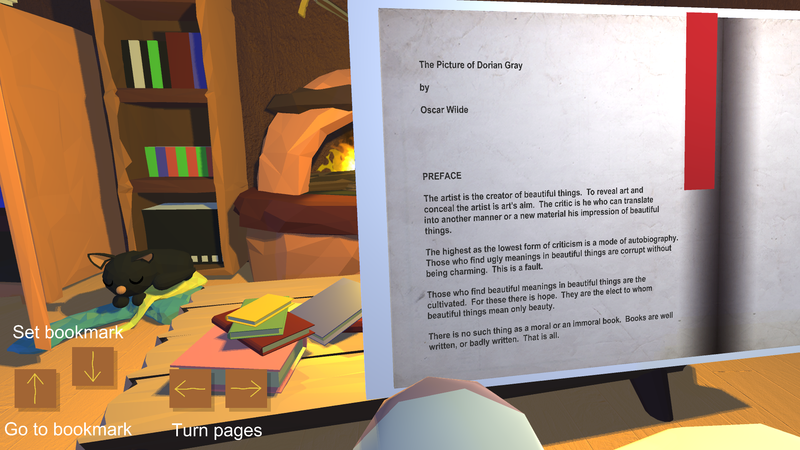 The player can do several different activities : change his clothing (well, his onesie), play a horror video game, browse the web, drink some hot tea, or read a whole book. Or maybe don't read the whole thing, but you can set a bookmark to pick up where you left. 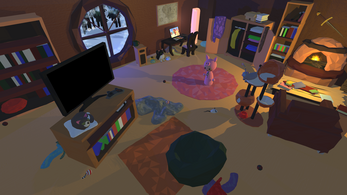 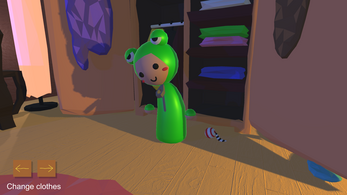 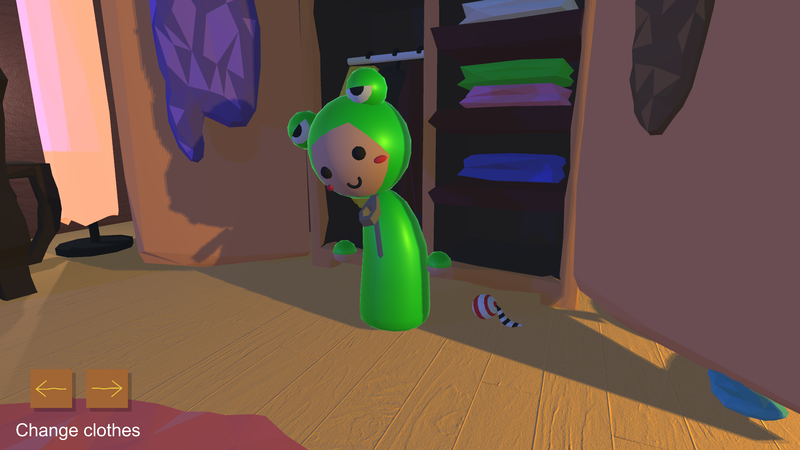 Cosy was made by Piers Bishop, Camille Couturier, and Maëlys Jusseaux for Global Game Jam 2019. 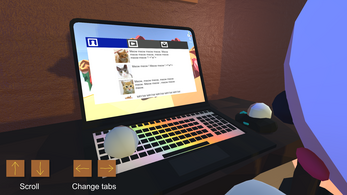 3D assets made with Blender, audio samples from Freesounds.org, retro game effects made with bfxr, public domain litterature from the Gutenebrg project. Game made with Unity.